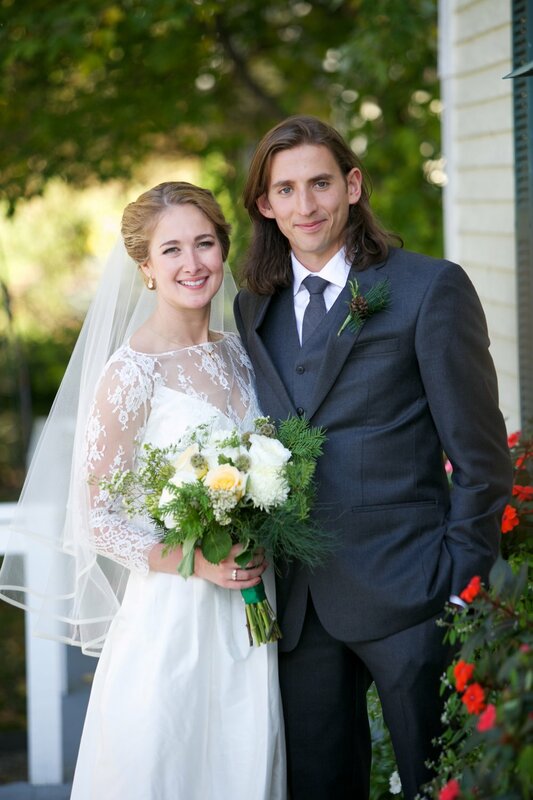 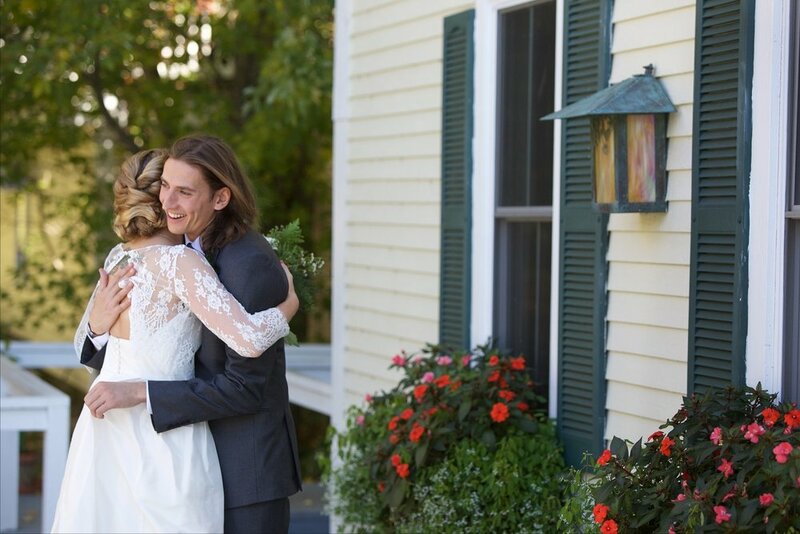 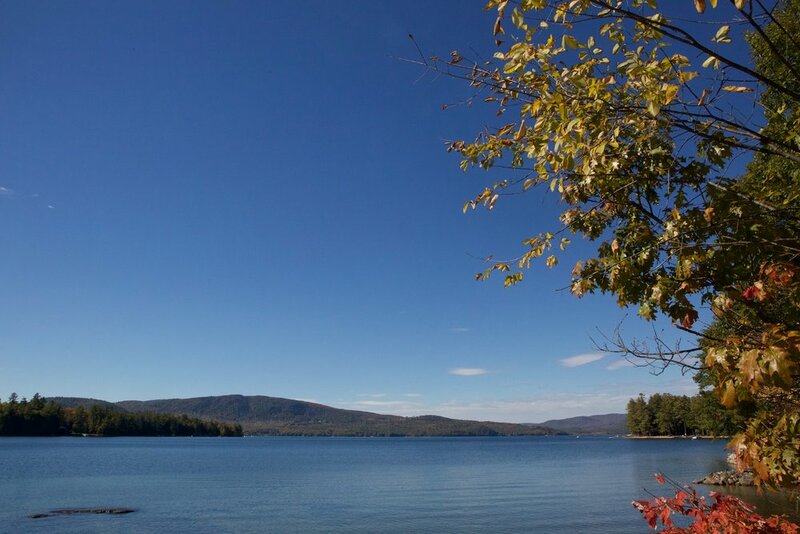 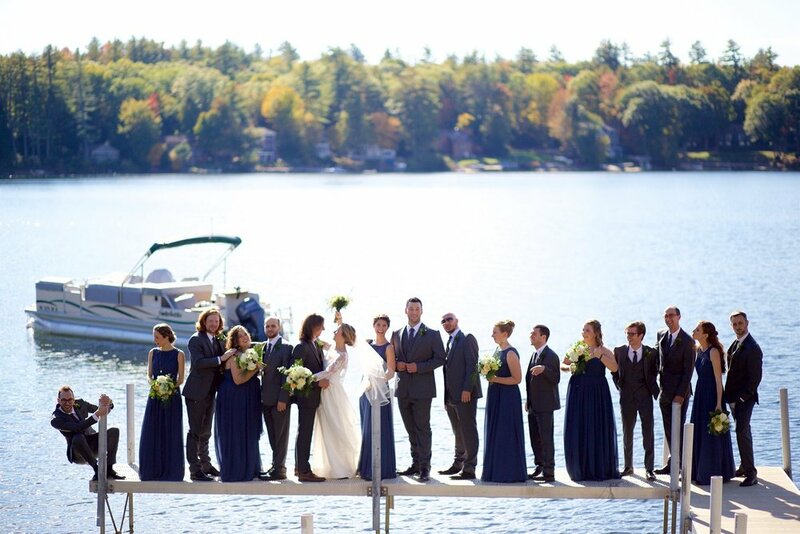 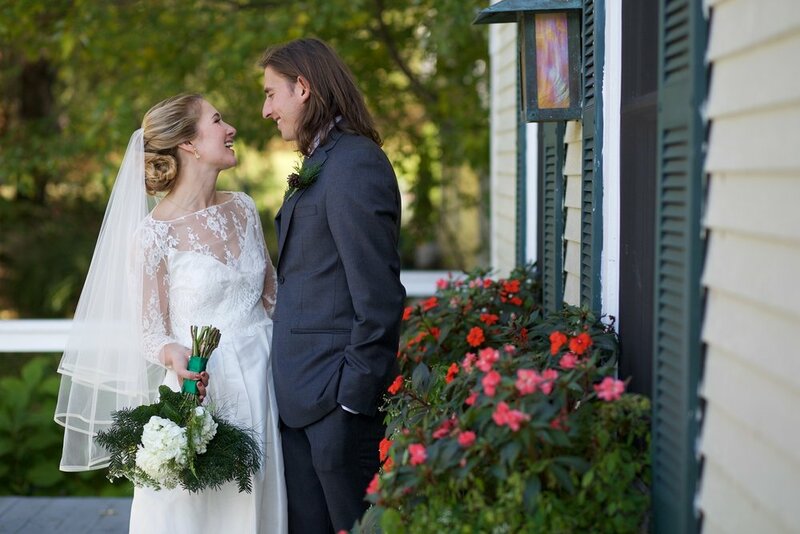 Johanna and Vladmir celebrated their mid-October wedding near the bride's family vacation home on Newfound Lake in New Hampshire. 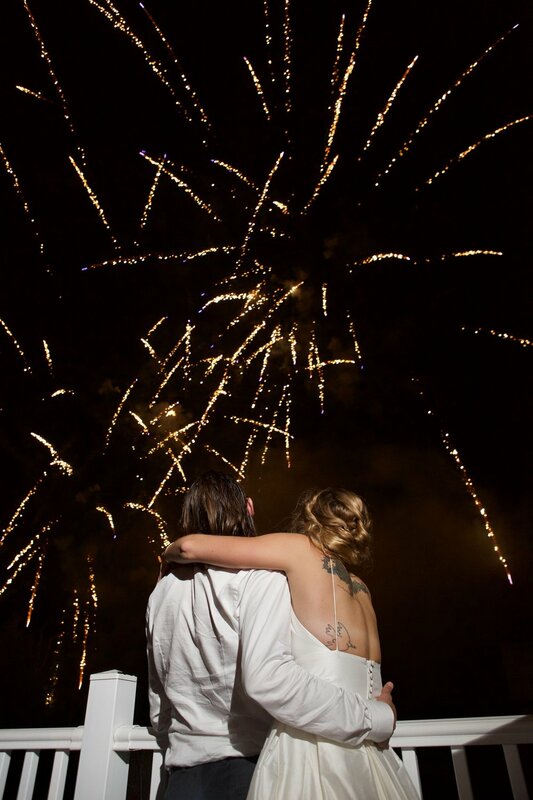 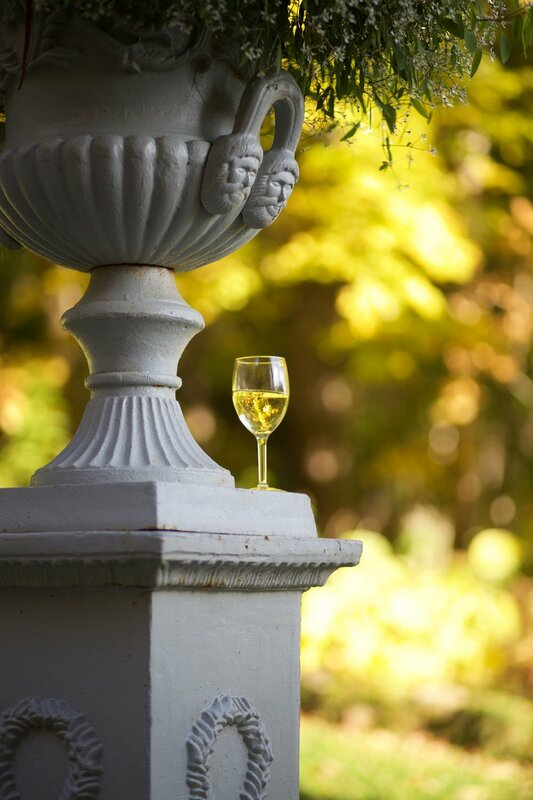 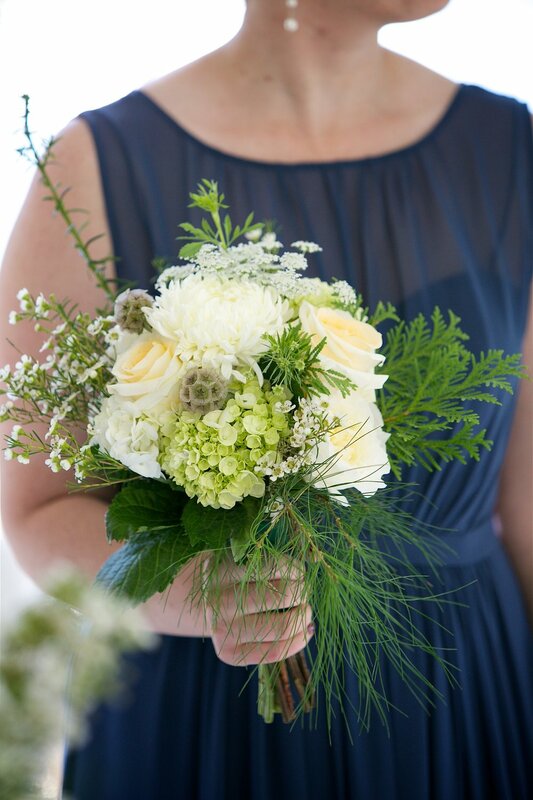 Photos by Aphrodite Wedding Photography. 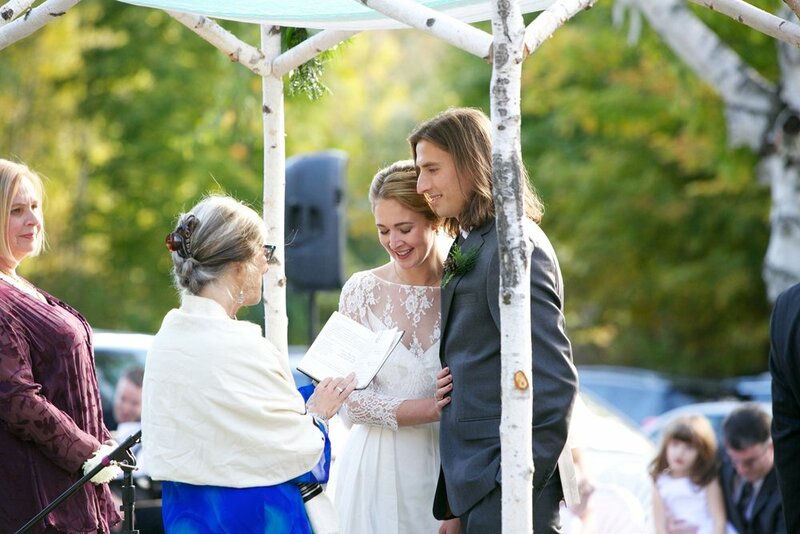 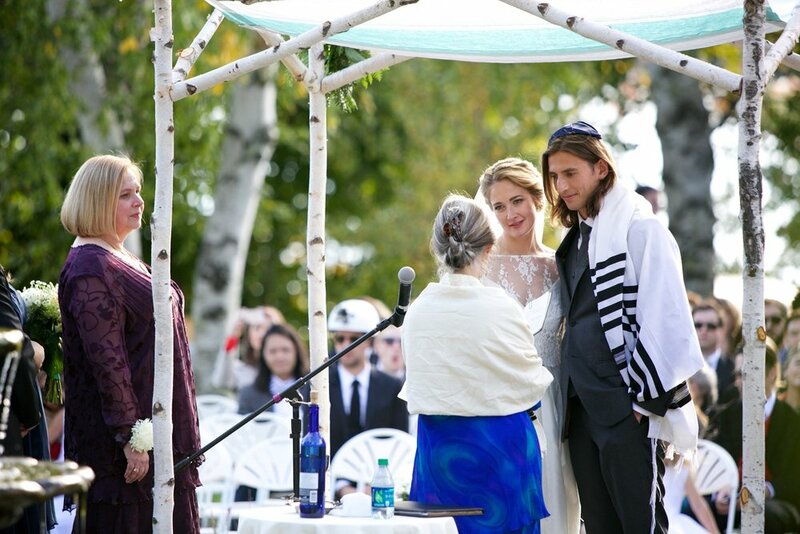 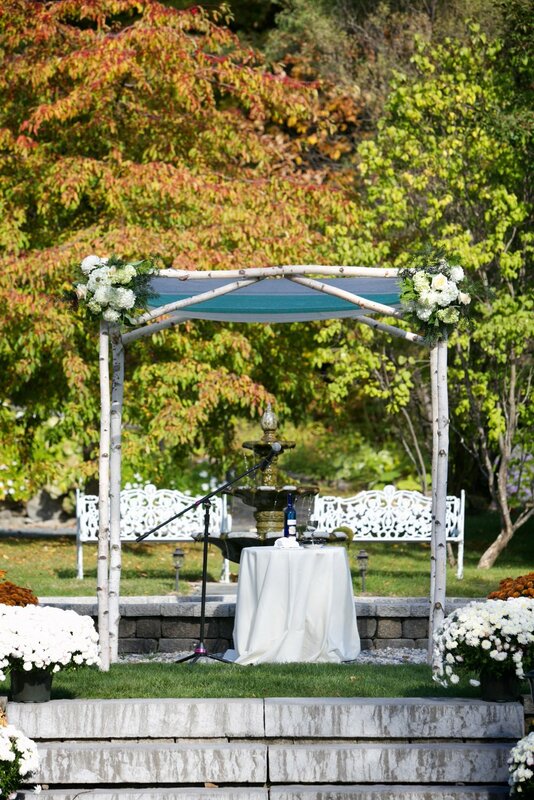 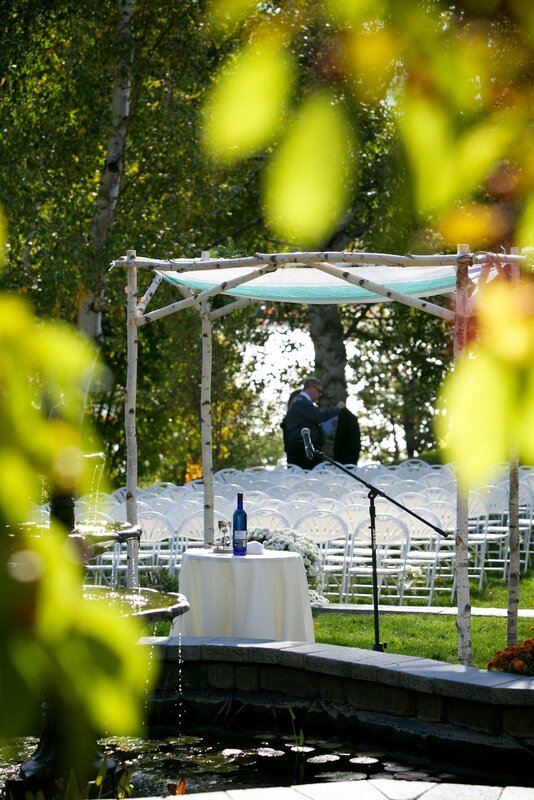 The outdoor ceremony took place under a handmade birch huppah. 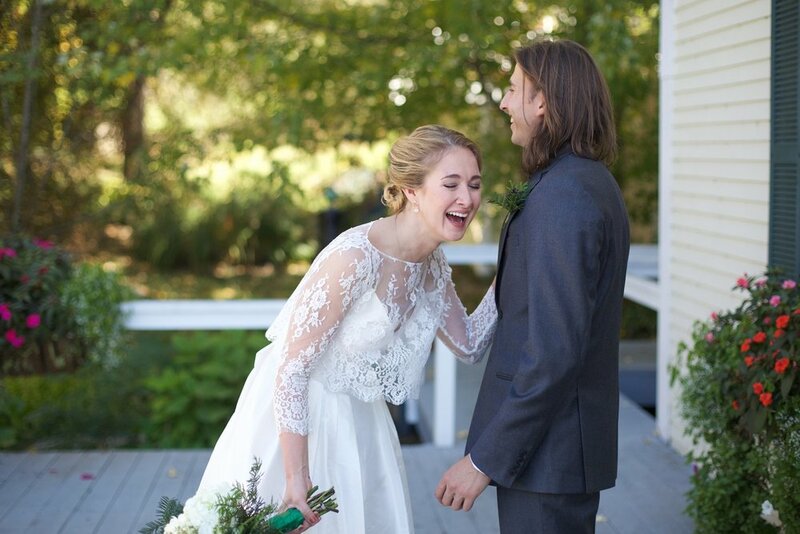 As a nod to the groom's Russian heritage, shots of vodka were offered to toast the bride and groom as the dance party got underway.